Justice For Kennedy: A Victory for Jefferson Morley in his pursuit of CIA records on Joanides! A Victory for Jefferson Morley in his pursuit of CIA records on Joanides! A federal court ruled Tuesday that my lawsuit for the records of deceased CIA officer George Joannides “serves a public benefit” and ordered a lower court judge to reconsider his decision to deny the award of legal fees. A three-judge appellate panel declared that Judge Richard Leon had erred in his September 2012 decision that the governnrnent did not have to pay my court costs for 10 years of litigation. In 2007 the D.C. Court of Appeals ruled in favor of arguments made by my attorney, James Lesar, who contended that the Freedom of Information Act (FOIA) obligated the CIA to release more records about Joannides. Plaintiffs who prevail in FOIA and civil rights cases are often awarded legal fees to discourage the government from resisting meritorious claims. The court’s ruling is a moral victory that awaits substantive fulfillment. 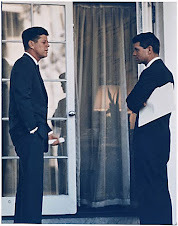 My lawsuit, Morley v. CIA, has shed new light on events the CIA has long sought to conceal: Joannides’s shadowy role in the JFK assassination story. 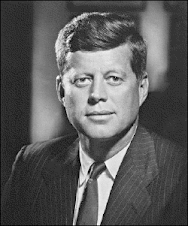 The CIA did not disclose his actions in 1963 to the Warren Commission or to the House Select Committee on Assassinations (HSCA). His story did not come to light until the Assassination Records Review Board declassified a handful of records from his personnel file in 1998, and I wrote a story about him for the Miami New Times in 2001. 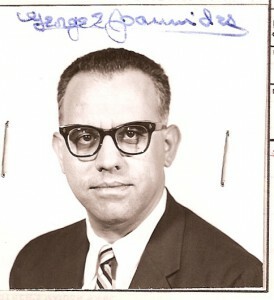 At the time of JFK’s assassination, Joannides served as the chief of CIA covert operations in Miami. A career undercover officer with a specialty in “psychological warfare,” he funded a Cuban exile student group whose leaders publicized the pro-Castro activities of accused presidential assassin Lee H. Oswald three months before Oswald allegedly killed JFK. 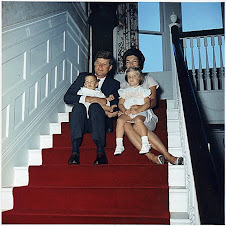 After JFK was dead, Joannides’s agents used CIA funds to link Oswald to Cuban leader Fidel Castro. In 1978, Joannides resurfaced as the CIA’s chief liaison to the HSCA but never disclosed his knowledge of the events of 1963. “The CIA set me up,” HSCA general counsel G. Robert Blakey told the Washington Post in 2005. — served in an “undercover” capacity while funding Oswald’s antagonists among Cuban exiles in the summer of 1963. — served in an “undercover” capacity when he stonewalled congressional investigators in 1978. In the course of the litigation, the CIA was also forced to acknowledge that it retains at least 295 additional documents about Joannides that it has never made public in any form. In sworn court filings, Agency officials said that the release of the records — many of them more than 50 years old — would harm U.S. ”national security” today. The court ordered Judge Leon to revisit the question of legal fees “in a manner consistent with Davy.” But the court took no position on whether Leon should actually award the fees, now estimated at $150,000. When Leon will decide that question remains to be seen. 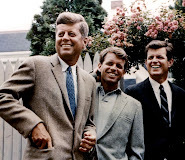 The U.S. government and the CIA still have not paid any price for concealing from the public a key batch of JFK assassination records that will shed light on CIA operations involving Lee Harvey Oswald while President Kennedy was still alive. Much of the story remains out of public view.